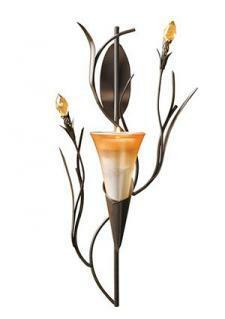 Wall mount candle holders can be an elegant yet unobtrusive addition to any home décor. With many styles, sizes, and designs to choose from, it is possible to add candles to any wall in your home easily and beautifully. Using wall mounted candle holders or candle holder sconces is a great way to add candles to your home décor without taking up valuable table or shelf space. Small candle holders fit beautifully on narrow walls, and larger designs can be artwork by themselves. Wall mounted candles are also easier to keep out of reach of children and pets, making them a safer alternative for decorating with candles in a busy home. Words such as "Welcome" or "Family"
Wall mount candle sconces can be made with iron, wood, or glass, and many designs come in different sizes for even more versatility and options when choosing just the right candle holders for your home décor. Use a large holder as artwork. 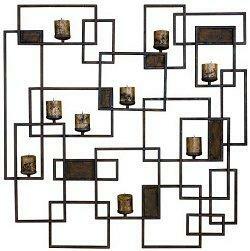 Wall candle sconces cost from $10 to $100 or higher depending on the design, materials, and size of the holder. In general, larger, more elaborate pieces that accommodate multiple candles are the most expensive. You can replicate the look of an expensive piece by choosing several smaller, more affordable candle holders and mounting them around a favorite photo, painting, or just in a symmetrical cluster on a suitable wall. As with any candles, it is important to use wall mount candle sconces safely to minimize any risk of fire or injury. Always use the proper hardware (generally provided) when mounting the sconce to the wall. Mount heavier, larger sconces on wall studs for security and stability. Be sure the candle holder is level when mounted to avoid uneven candle burning and drips. Do not mount candle holders beneath overhangs or near flammable materials such as curtains. Avoid mounting the sconces too high where lighting and extinguishing them could be difficult. 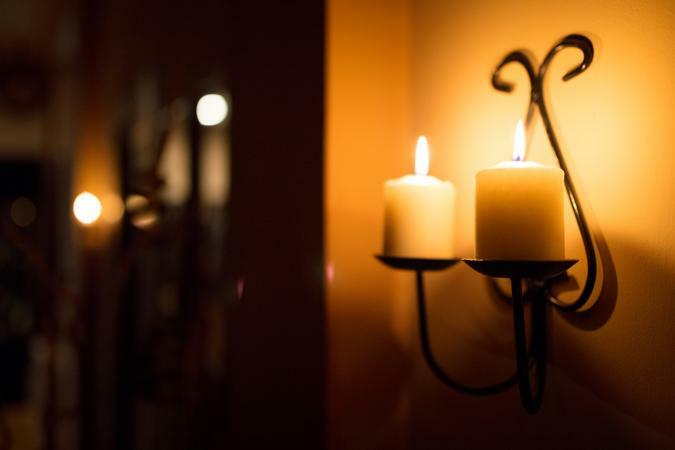 Use only the appropriately sized candles in each sconce to avoid too much weight. Wall mount candle holders and decorative sconces can be beautiful and easy additions to any home décor. With a tremendous range of styles available to suit any budget, you're sure to find just the right sconce to be part of your interior decorating.